The operation of raising a number to a power means finding the result of multiplying it by itself the number of times which is one less than specified in the exponent. 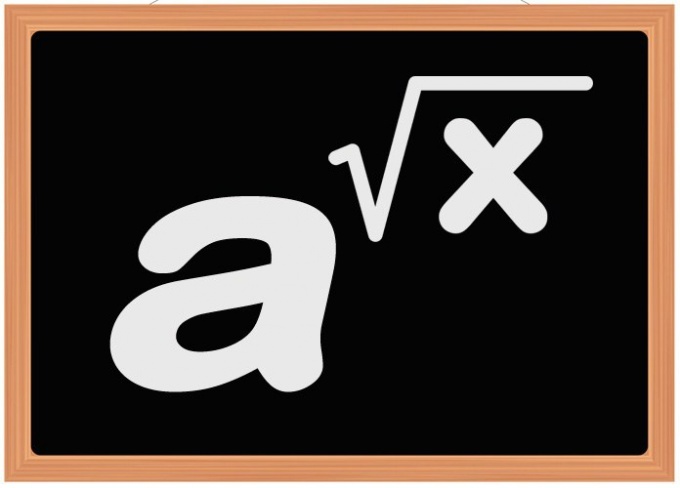 However, not always the exponent is an integer - sometimes it is necessary, for example, to build a number to a power, which is represented by the expression containing the operation of root extraction. Start with calculation or conversion to a more convenient form of exponent, which includes the operation of root extraction. For example, if a task requires the number 25 to the extent that the measure which is the cubic root of the number 81, then "remove" it and replace the expression (3√81) obtained a value of (9). If the resulting root extraction in the previous step, the number is a decimal, then try to submit it in the format of fractions. For example, if the conditions of the problem from the previous step, the exponent replaced by the cube root of the number of 3,375, the result of its calculation you will get a decimal of 1.5. It can be written in the format of an ordinary improper fraction 3/2. The construction of number 25 in such fractional degree means that it is necessary to remove the root of the second degree, as this number is in the denominator of the indicator, and raised to the third power, as this number is in the numerator (√253). Unfortunately not all decimal fraction can be represented in the form of fractions - often the result of the root extraction is an infinite fraction that is an irrational number. Use the calculator as an indicator containing the extraction of roots, and the value of the whole expression. If you only want to get the result, omitting the intermediate transformations, it is possible to do only one Internet - easy-to-use calculator built in, for example, in the Google search engine. For example, if the required number of 3.87 to build in a degree which is equal to the square root of the number 62,7 then type in the search query box Google 3,87^sqrt(62,7). The result of the calculation (45049,6293), the search engine will show itself, even without pressing the button send query.